A one-day intensive program celebrating the ephemerality of movement, in.the.now is about heightening one’s awareness of the present moment. Scroll down for upcoming dates/locations! To receive email updates about in.the.now, please subscribe to our email list by clicking here. At in.the.now, “dance” is only a small fraction of what we’re aiming to teach. Movement explorations are used as a catalyst to access and develop life skills. We strive to cultivate creative thinkers and team players who can find meaningful connections and use the discoveries they make inside the studio within other aspects of their life. The ‘teacher-as-student’and the ‘student-as-teacher’ way of thinking is an integral part of the way in.the.now facilitates the learning process for everyone. We believe that there is no hierarchy when it comes to creative inspiration. Teachers inspire students and students inspire teachers. It’s an exchange. Everyone is responsible for contributing their positive creative energy to each class! Body and Mind Activation - providing a strong foundation of focus, presence, physical readiness and enthusiasm. This class includes elements of technique: investigate alignment, muscle efficiency and movement textures through classical and modern dance forms. Improvisation Strategies - offering strategies to access imagination, take risks, break habits and stay present. Collaboration and Creative Process - exploring choreographic tools and structures. Students will extrapolate on their understanding of Improvisational Strategies to create, revise, frame, analyze and discuss movement. Contemporary Combo - culminating the day with a contemporary combo as a way of integrating and applying learning from the entire workshop. This class is an exploration of choreographed movement material while asking the question: “How can I, as a dancer, embody choreography in a way that is personal and unique to my individual artistry?”. For a complete list of Faculty Members at each event, please download the event-specific workshop package using the links below! DAVID NORSWORTHY (Workshop Director / Faculty Member), is a Toronto-based internationally acclaimed dance artist who is “an exceptionally lucid performer, technically impressive and articulate with choreographic detail” (Globe and Mail). David has been privileged to perform and tour with companies including Peggy Baker Dance Projects (Toronto), Toronto Dance Theatre (Toronto), Dancenorth (Melbourne), ZviDance (New York), Brian Brooks (New York), Skånes Dansteater (Malmö) and Magma Dans (Stockholm) among others. 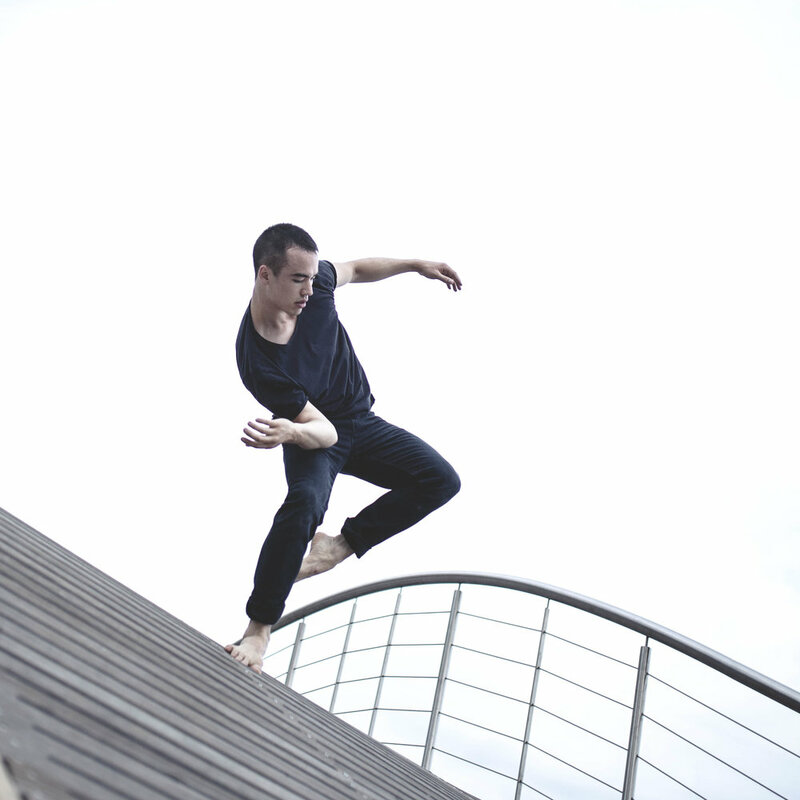 He has presented his choreographic work at Wave Rising Series (New York), Our Voices (Stockholm) and the OnSite/InSight Festival (Winston Salem) among other festivals. Recent commissions include Lamondance (Vancouver) and Point Park University (Pittsburgh). A graduate of The Juilliard School (New York), David is the grateful recipient of the Living Arts Centre’s 2016 Ron Lenyk Arts Award and one of three finalists for the Toronto Arts Foundation's 2018 Emerging Artist Award. Please note: Levels and recommended ages may differ at certain locations TBA. Please stay tuned for more upcoming dates/locations! To receive email updates about in.the.now, please subscribe to our email list by clicking here. We offer our all-inclusive in.the.now workshop packages to dance studios and schools across Canada! Let us help you create an unforgettably inspiring, fun and educational experience for your students. Make a no-obligation inquiry today! Email david@toesfordance.ca.